I finally got back to the Quilted Art project, but couldn’t spend a lot of time on it this week. However, even a little bit of progress each week will, over time, complete the project. I think I’ll be able to stitch some on it today. For now, here is where it stands. 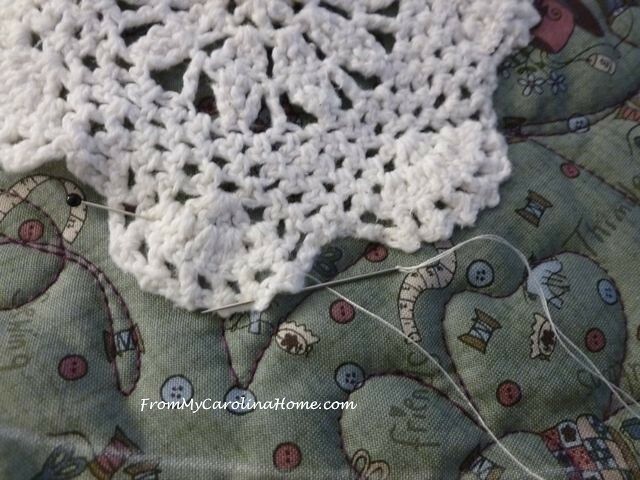 The last doily was stitched to the base. Silk ribbon tends to keep the creases from winding on the bobbins, so the ribbons were unwound and ironed to take out the wrinkles. 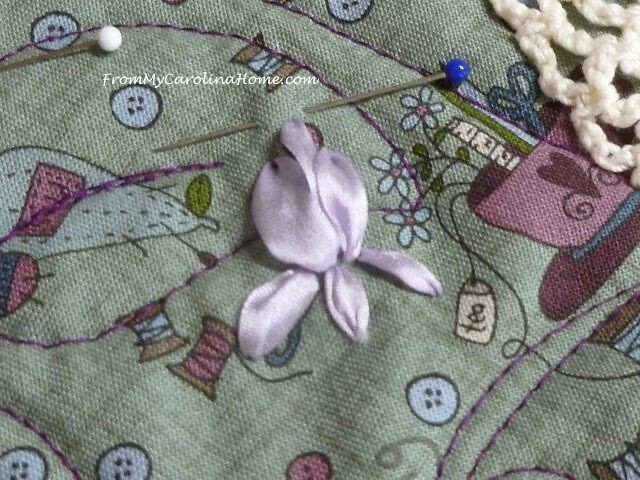 Starting with a pretty lavendar, three stitches were placed vertically for the top part of an iris flower. 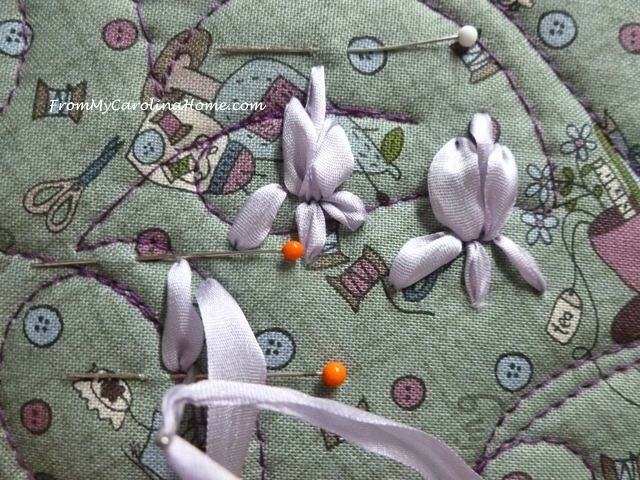 Then, three smaller stitches radiating down create the lower part of the flower. I marked three spots, 3/4-inch high for three irises. I haven’t decided whether or not to do stems, or just more flowers – more irises or stop with three. 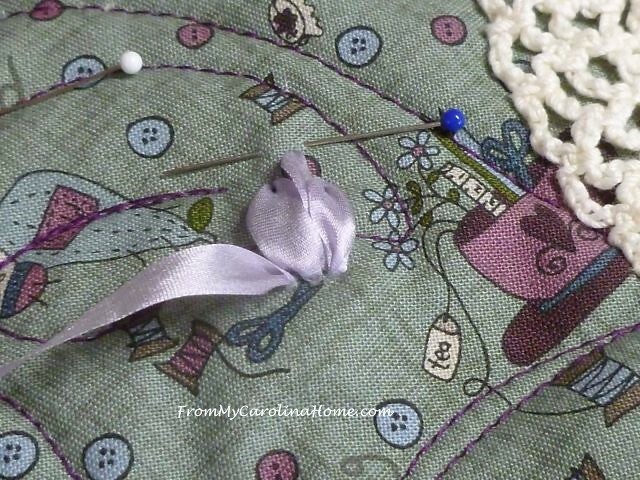 I marked a cornucopia shape with chalk to loosely define a path for the trims, buttons and other things I plan to add. 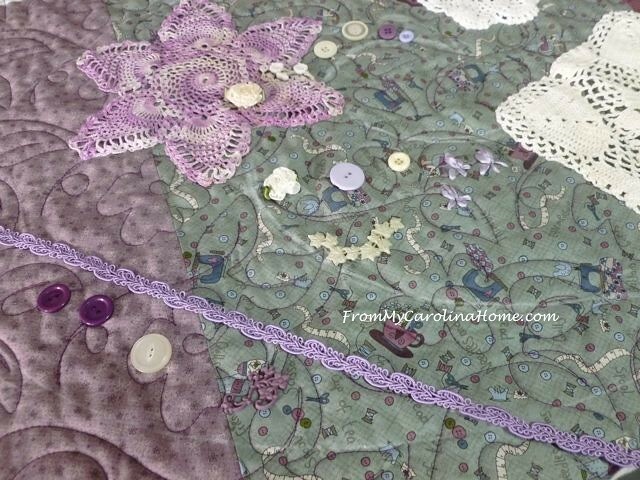 I put a straight line on the lower left for a purple trim piece, and scattered some buttons below it. I’ll be doing more embellishing today, but so far I am pretty pleased with the way it is going. 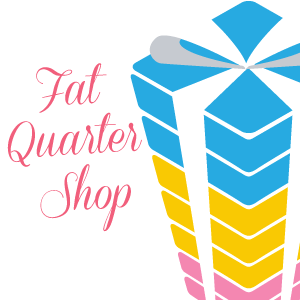 Click on Part 3 to see the next update. 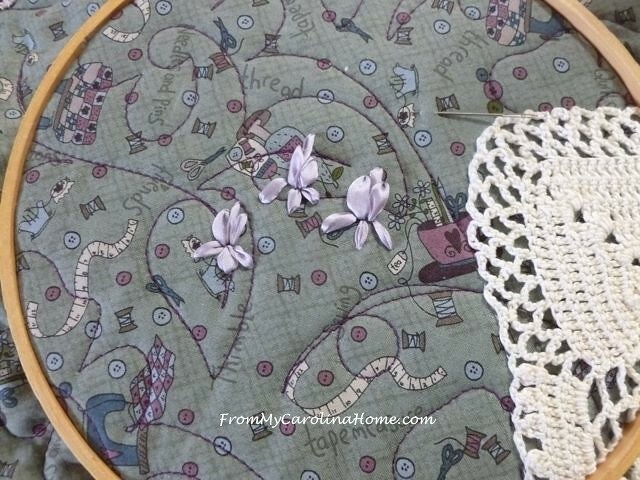 Linking up with Kathy at Slow Stitching Sunday. 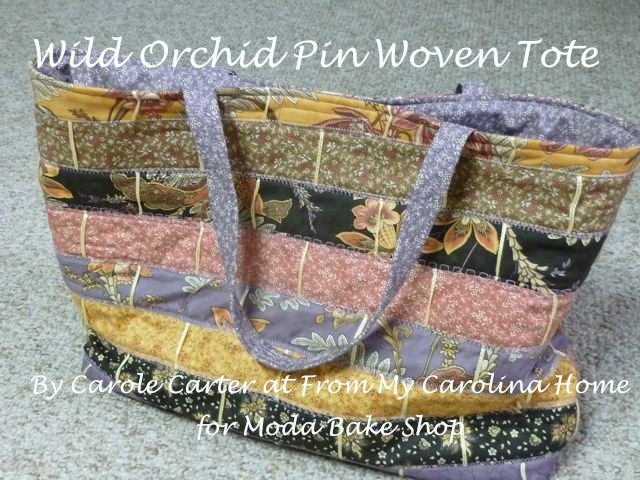 Lots of fun stitching on your project! I’m not a slow stitcher. I’m a never start stitcher. Still, I love seeing the magic you create with fabric. Good Morning Carole! Your art project is coming along beautifully! 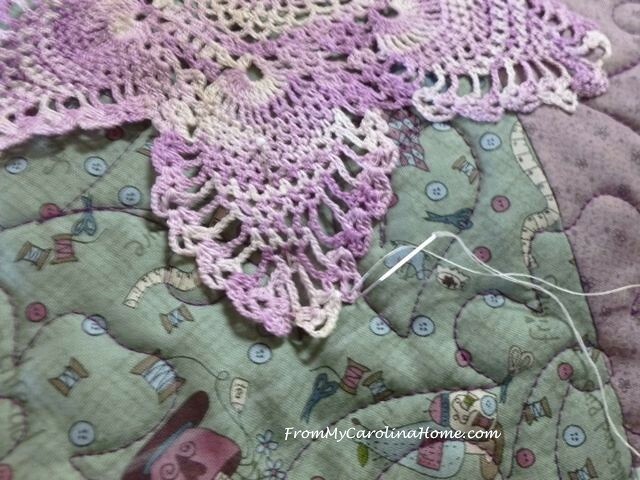 Especially with adding the purples…my favorite…the doily and the ribbon look so lovely together like that. 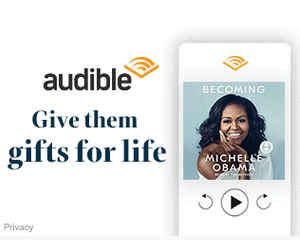 I would add more, but it is your project! With the what seems like dozens of quilt/sewing projects I have going on at this time, I have not been able to spend but a tad bit of time on slow stitching. The little bit I did the other night was so delightful and relaxing, I know I need to get back into routine and do it every night. 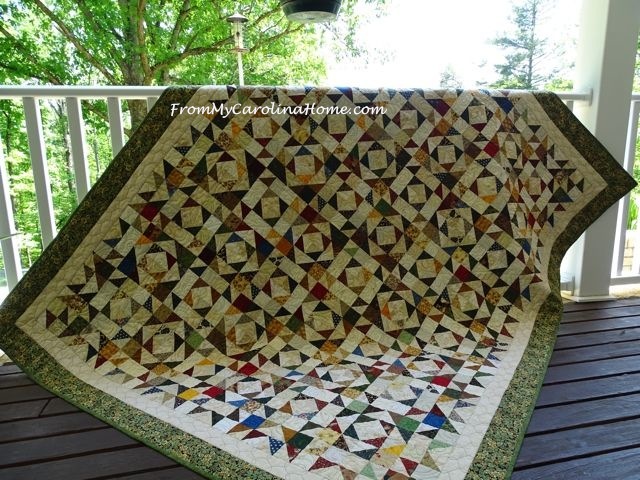 With the Daffodils blooming and dancing in the breezes, plus all the other tiny signs of spring it will not be long before the puppies and I are sitting under a shade tree stitching away. So off I go to get my sewing day going! Have a splendid creative day! This looks like the beginning of a very pretty project! 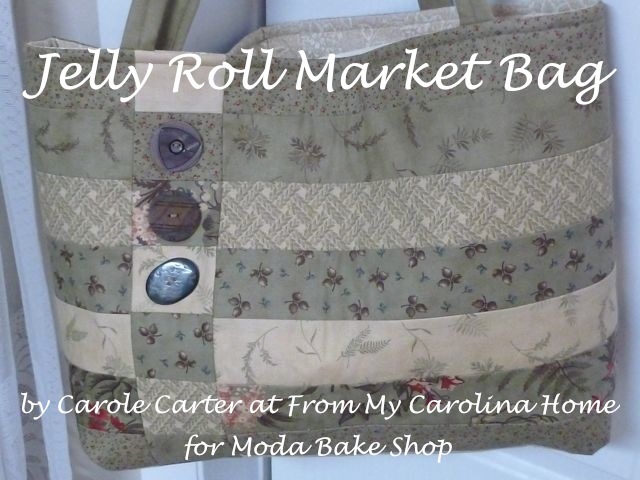 This is really pretty, Carole, I like it a lot. I hope you are enjoying sunshine and warm temps. I did go out for a walk with my parents, but that is just shuffling (:-D) so now I am treadmilling and reading at the same time. Yes, I should go out and get some pollen immunity, but oh well. Maybe I will find a few minutes here and there to “face plant” (as my daughter calls Sarahs tumbles into the carpet haha) into the garden and grass a few times this week. whew. 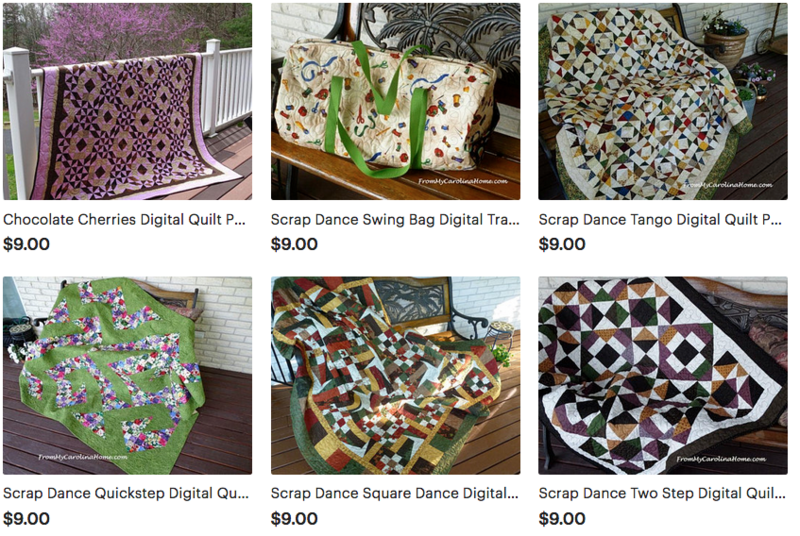 I am downloading or uploading or just loading your Scrap Dance Tango and reading very carefully and looking at the flikr pics. It is so exciting. I hope to start on this kind of project after I finish the three I have cooking right now. Slowly but surely I am getting through. I love everyone’s fabric choices so far. Very inspiring. Your ribbon flowers are very pretty. I am looking forward to seeing the finished quilt. 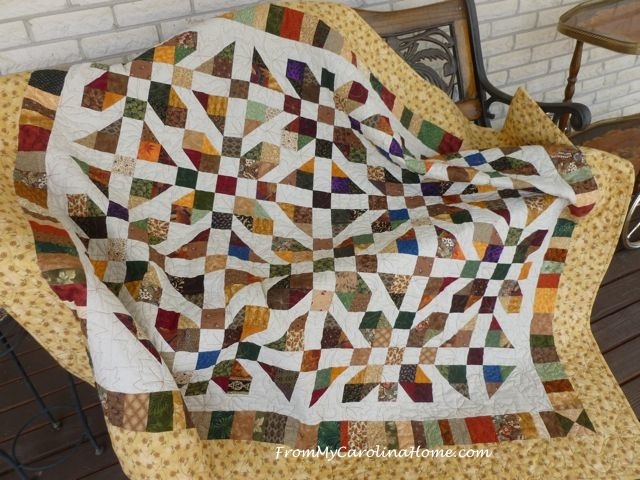 something tells me thi wil be a stunning quilt. That looks really pretty Carole. 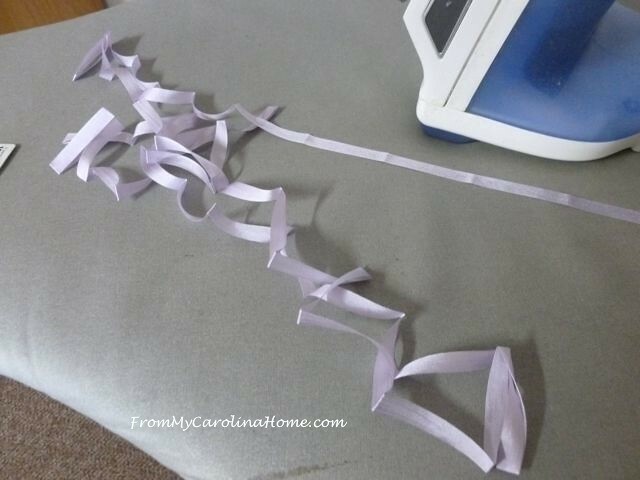 I have never tried ribbon embroidery but you make it look fairly easy. Such lovely embellishments… those ribbon flowers are adorable!